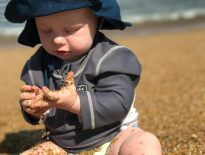 This week’s Memory Monday makes us think of warmer temperatures and summertime. We entitle this photo as “pool day” and the photo speaks for itself. 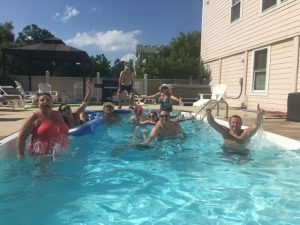 The photo comes to us from Jen Hopple who stayed with Sandbridge blue last summer, and provided us this photo of her gang enjoying a pool day at their vacation rental. We have many properties with private pools, and this picture shows you why they are so popular. Guests enjoy getting wet and cooling down on a hot summer day in the back yard without having to walk to the beach and getting sand all over them. As you consider your 2018 vacation in Sandbridge this year keep in mind the benefits of one of our many properties with a private swimming pool. Thanks Jen for sharing your photo memories with us. Remember to send your photo memories to us and each week we publish at least one of them. 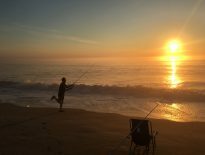 Then each month we will draw at random a winner of our monthly photo contest where the winner gets $100 off of their next stay with Sandbridge Blue. Hey, you never know. Send us your photo memories and you could be seeing your picture here next Monday!